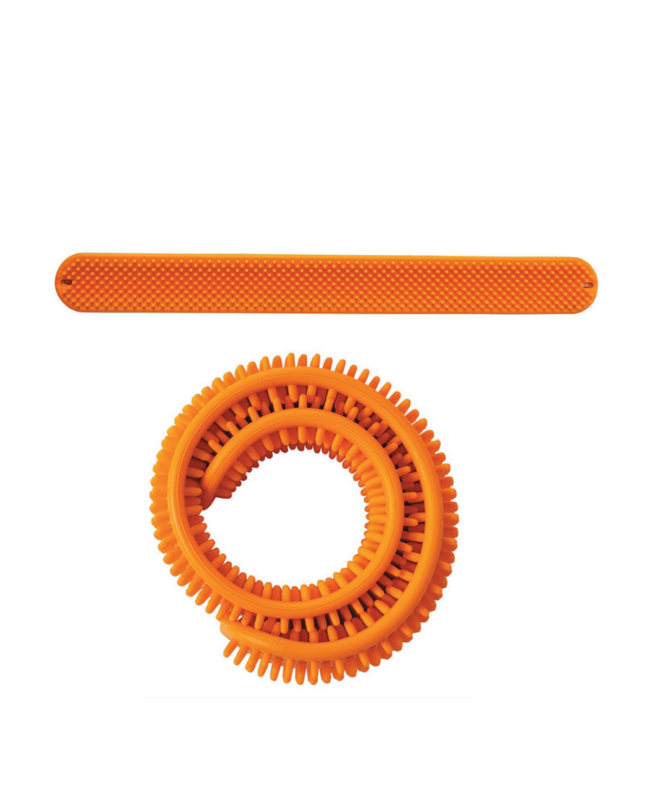 The lightweight Sensy Band is made from very soft silicone bristles. 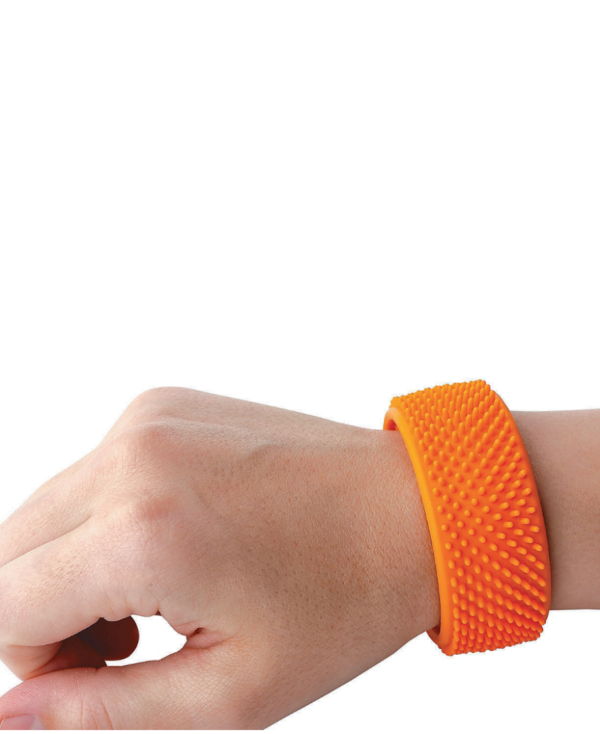 This bright orange band is easy to “slap” on and take off and adjusts to any wrist size. 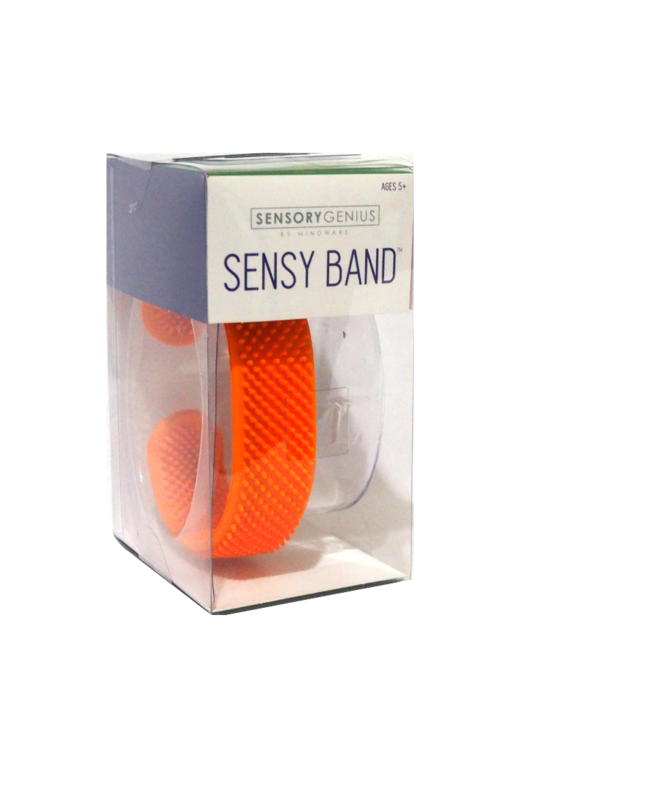 When not worn, Sensy Band can be engaging and satisfying to bend and curl. 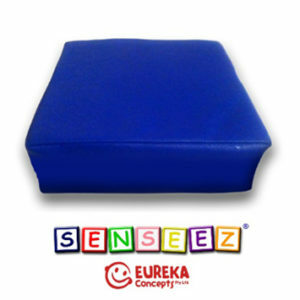 Arm bands have been used as a safer alternative for children who may habitually bite their arm or hand area or nails for relief. 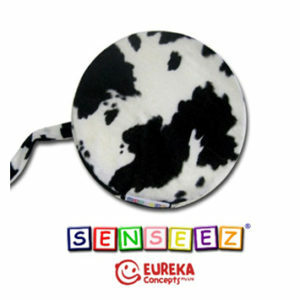 Please discuss with your Occupational Therapist or Psychologist if using the Sensy Band as part of a behavioural program to maximise its effectiveness.